Since their debut album Hybrid Theory turned them into overnight superstars, Linkin Park have bounced from style to style like a pissed tramp staggering between park bins. They love guitars! They hate guitars! They think they’re Depeche Mode! They’ve made an album of Ukranian arse flute music! 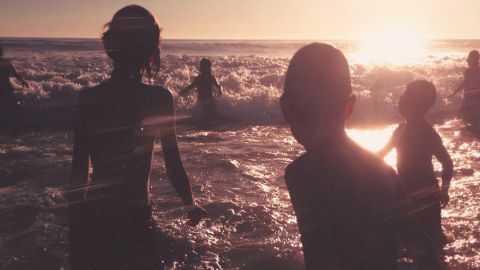 One More Light is their latest career flip-flop: a gleaming, featherweight 21st-century pop album. They’ve stripped away the guitars to the point where only trace elements remain. Good Goodbye (featuring rapper Pusha T and grime star Stormzy) and Heavy (a soft-centred duet with US singer Kiiara) are more Radio 1’s Big Weekend than Download. The whole thing makes Ed Sheeran sound like Extreme Noise Terror. There’s no point getting annoyed about it. With One More Light, Linkin Park have waved goodbye to rock. All the best, lads. It was nice-ish while it lasted.